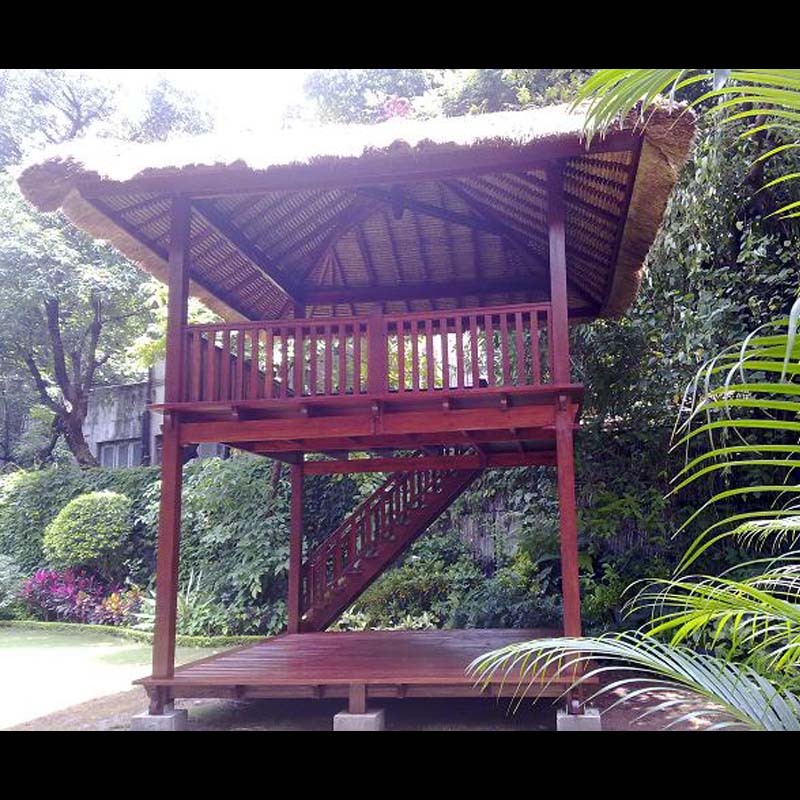 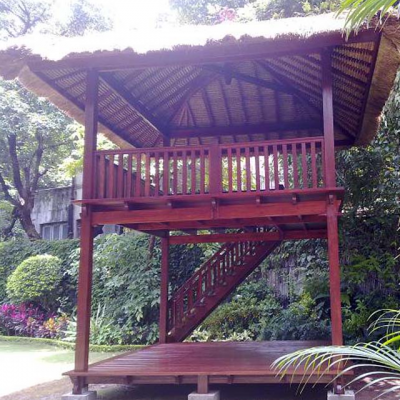 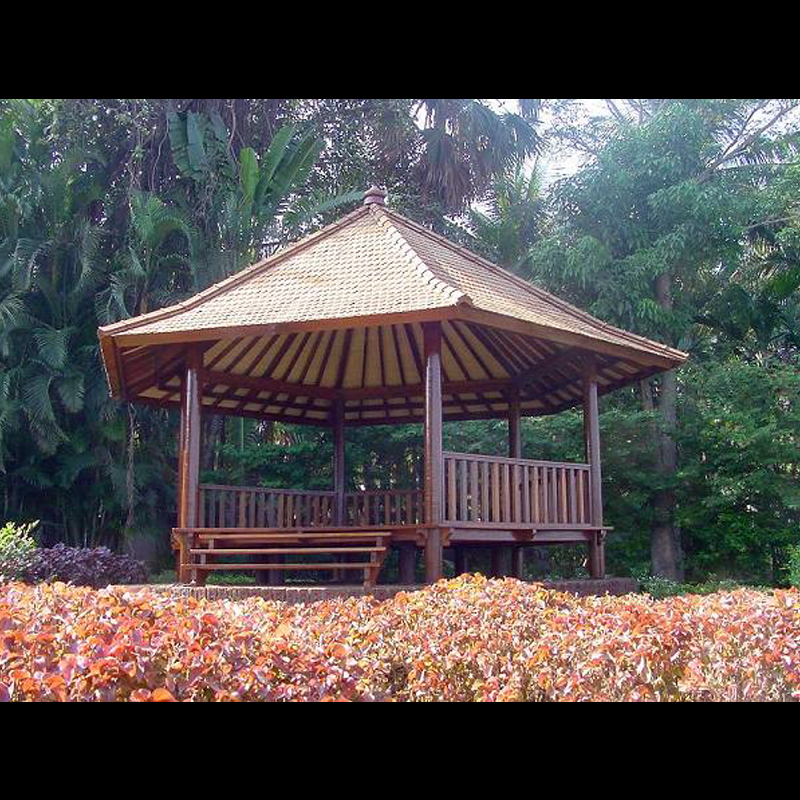 Bali gazebo and pavilions have traditionally been used by the Balinese as places of shelter and relaxation from the intense tropical sun. They are cool and breezy and make an ideal garden accessory. 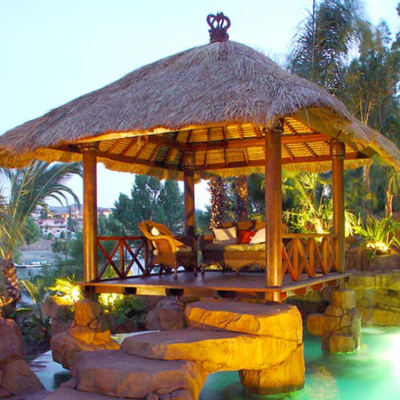 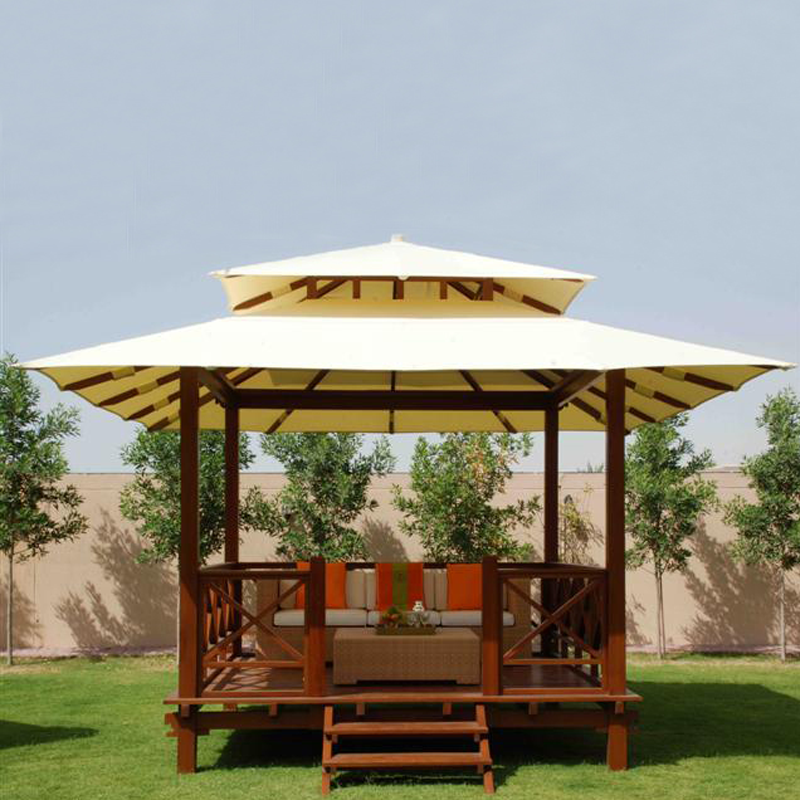 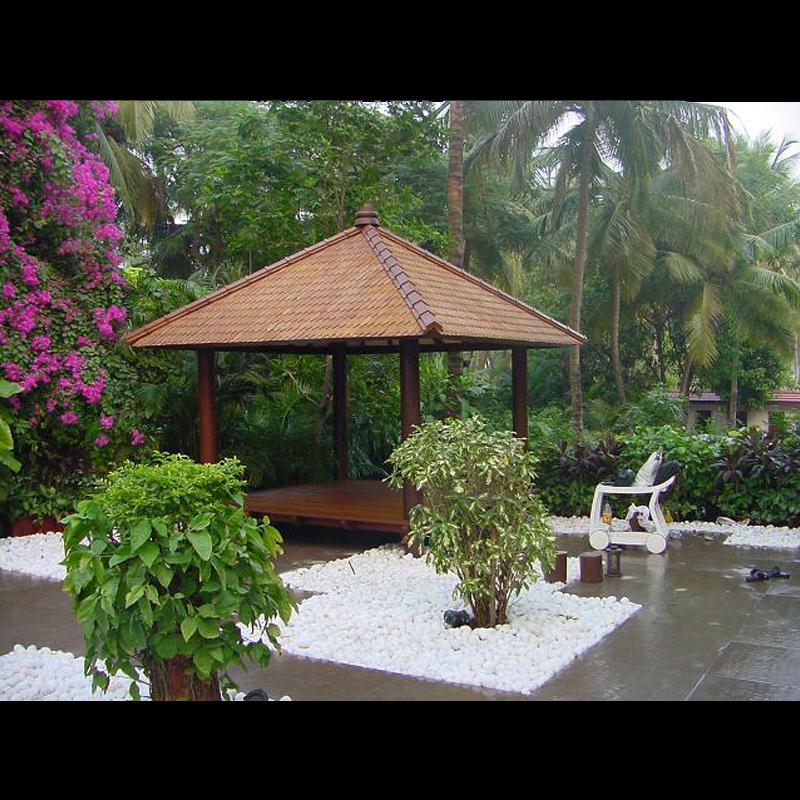 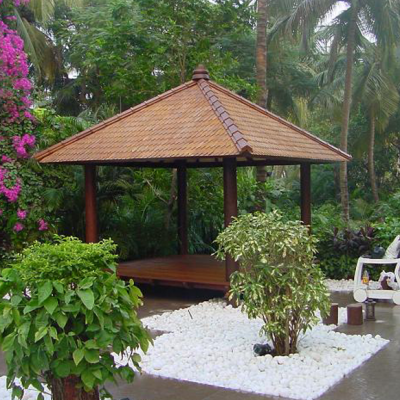 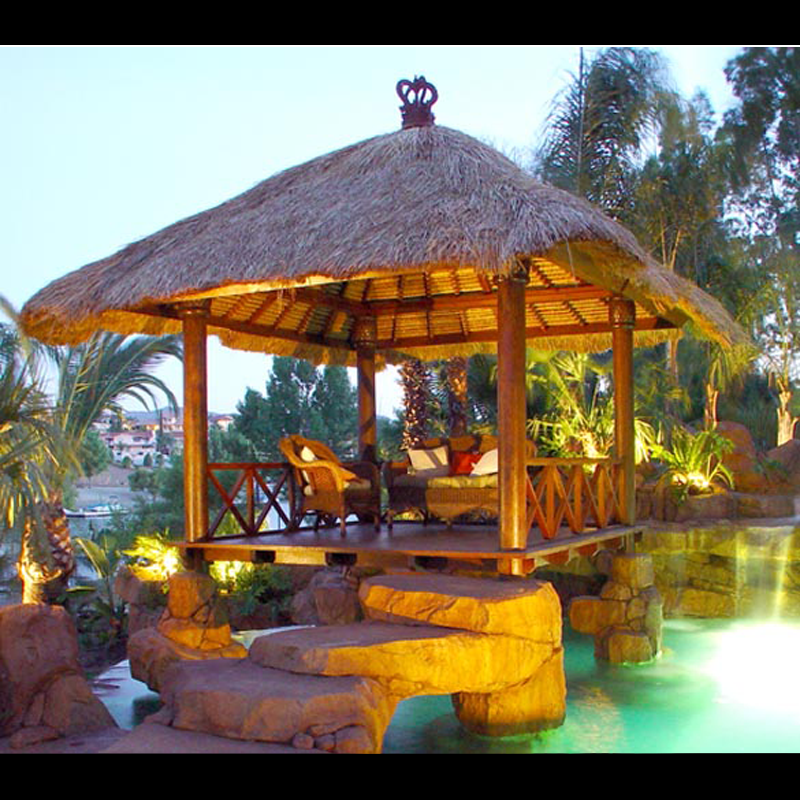 Our gazebos are available in three types of different roofing- thatch , canvas sunbrella and shingle. 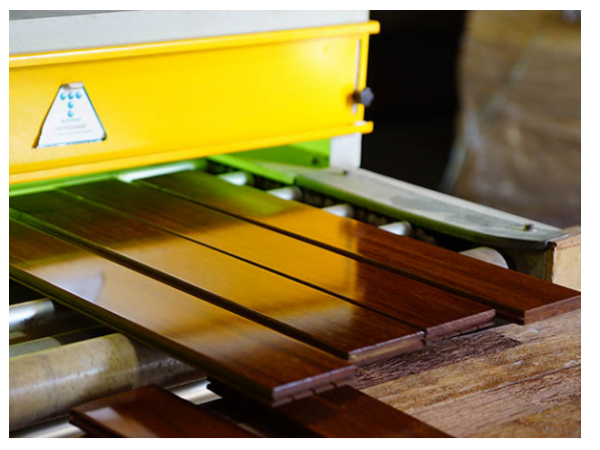 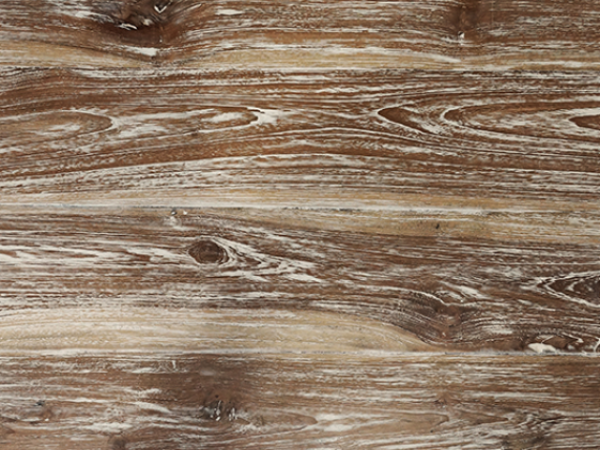 They can be made from various wood types and can be custom made to order in differing sizes and styles. 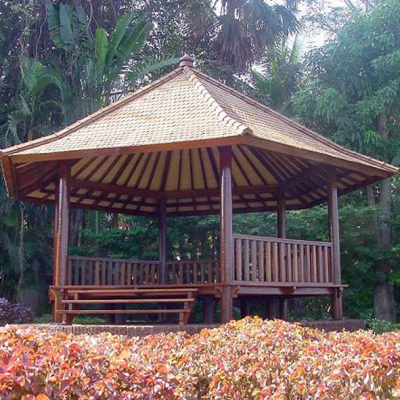 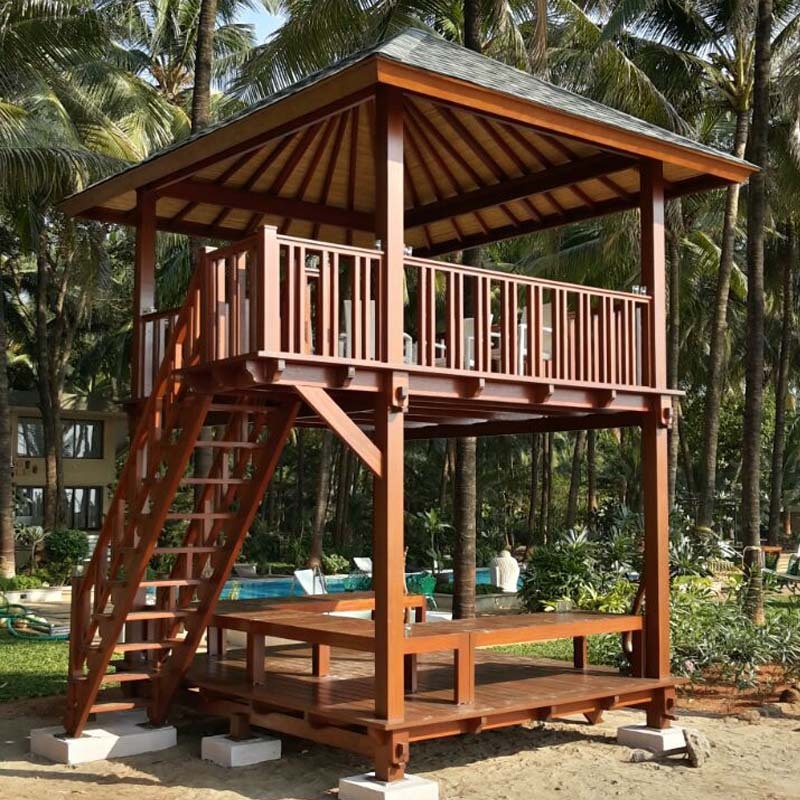 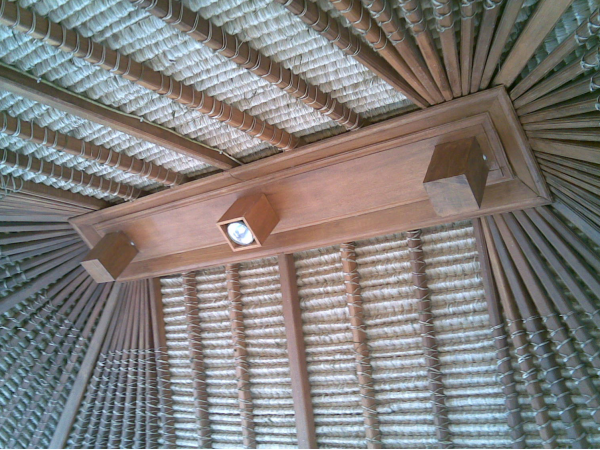 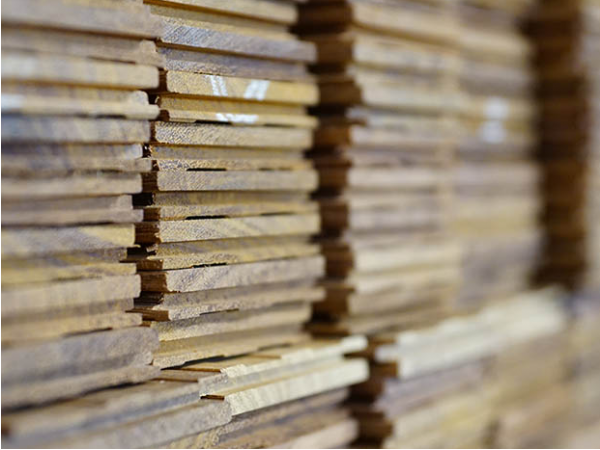 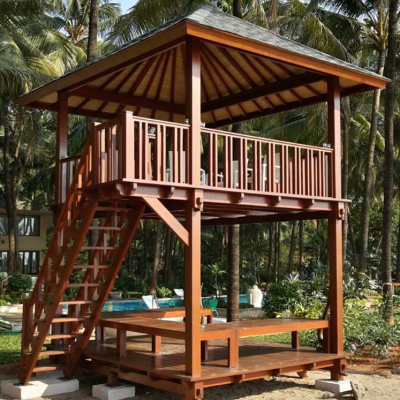 All our gazebos use kiln dried termite treated timber. 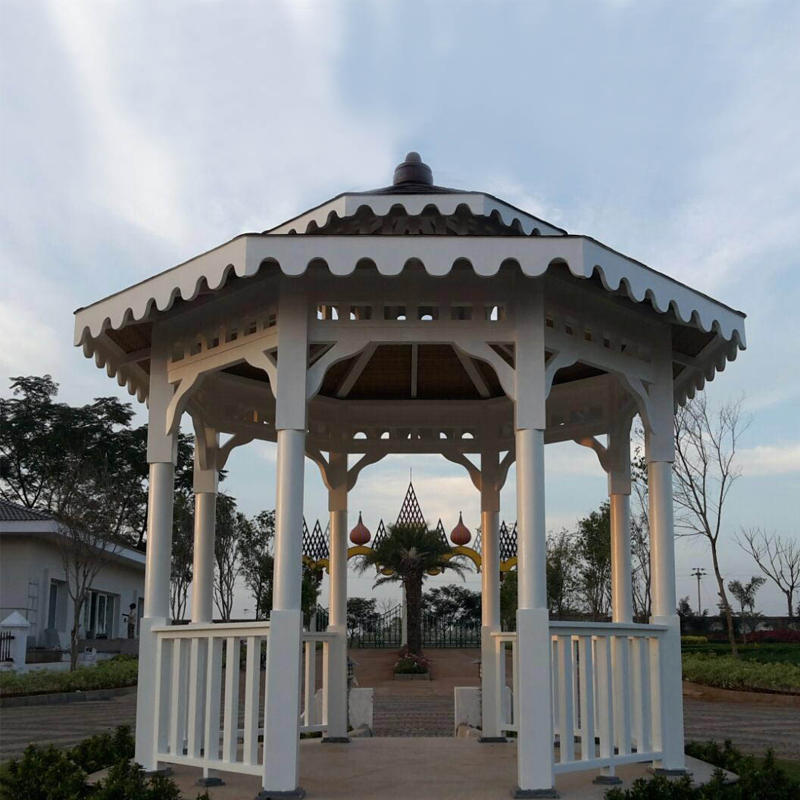 Gazebos are ideal for export as they can be easily taken down and reassembled (approx 5 hours to reassemble).